I’m Alvin Tse, and I’m a 17-year-old student from Hong Kong. I’m an aviation enthusiast and luxury travel aficionado who is committed to helping people elevate their travel experiences with cheap deals, airline mileage programs, and hotel points. One of the most important things to know about me is that my parents fund for most, if not all of my flights. I’m forever grateful for all the experiences that my parents gift me, and how they’re open to all the options that I suggest whenever it comes to travel. Mom and Dad, I love you. Some may think that it is in bad taste for me to criticise a flight that I didn’t pay for with my own cash. However, I like to think that I’m just taking the opportunities that I’ve been gifted with, and help other travelers make the best travel decisions. This is the reason that I review flights and hotels the way I do. That said, sometimes I like to look back at how I got so interested in aviation. Given that you’ve clicked on my about page, I suspect you’re interested, so I’d be honored if you took the trip down memory lane with me. If you don’t, feel free to close this tab, or explore some of our other posts that Jason and I have carefully crafted. On February 10th, 2008, I boarded Cathay Pacific’s flight 580 from Hong Kong to Sapporo Chitose in business class for a skiing trip. It was the first time I realised what class of service I was in, what price my parents pay for this flight (or what I thought they paid, as they paid with points) and, most importantly, how cool the seats were. I fumbled around, I chewed gum like a noob traveler, and I enjoyed it. It was the first flight I can recall, and the first flight in my life I enjoyed. I’ll never forget that flight. On the inbound, I learned a lot about boarding service, servicing problems and aircraft maintenance issues when our flight (also on Cathay Pacific) was delayed by a couple of hours. Despite older recliner seats, apparently subpar crew (quoting my mom) and the delay, by the end of the flight, six-year-old me had his own imaginary airline (Alvin Express) mapped out. I was loving it. It’s still hard to imagine that this was ~10 years ago, and how it was the spark to the passion I now have for aviation and luxury travel. As I grew up more of our flights were shifted to economy, though I did get a taste of the “high life”. In 2009, I took my first fully flat bed in the air on Cathay Pacific’s herringbone business class on the upper deck of their 747. In 2010, I took the A380 for the first time on Singapore Airlines. It was in a middle seat in economy on a turbulent flight, so I don’t remember enjoying it as much as I should’ve. In 2013, I flew to Koh Samui in February on Bangkok Airways, and as usual I got my “post-flying high”. Except, at 11 now, this newfound passion didn’t die. I started getting addicted to airlines and airline cabins. I met Jason, my current blog partner, who started introducing me to all the perks of business class, miles and points and why “ZOMG CATHAY PACIFIC IS THE WORLD’S BEST AIRLINE”. Additionally, with all those remote stands I went through (Bangkok Airways usually departs from the satellite terminal at Hong Kong, which requires a bus ride, and Koh Samui doesn’t have any remote stands), I probably got closer to more airplanes than I could possibly handle. Oh, and I actually enjoyed my first airplane sunset from the inbound. 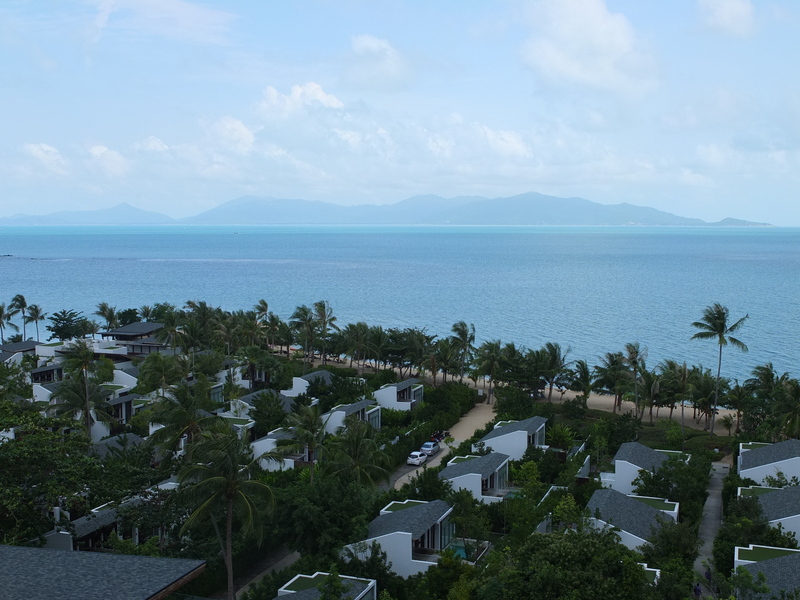 On that same trip, I stayed at the W Retreat Koh Samui, and learned a lot about different hotels and how they brand themselves (the W brand is one of my favourites, and I wish that airlines could brand themselves as effectively). Prior to that (and the March 11 earthquake) we used to go to northern Japan very often, where my sister couldn’t give up on the Century Southern Tower Tokyo (we also frequented Sapporo, where we normally stayed at condos) – this explains why I can’t say much about hotel competition even these days. 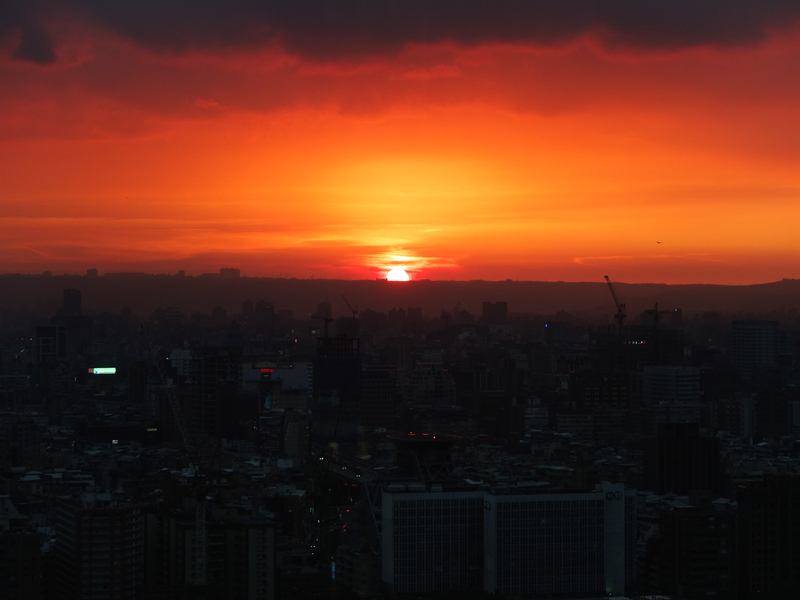 Later, a few highs included watching a sunset at the W Taipei and flying on the Hello Kitty Jet by EVA Air. In late 2013, I founded Hong Kong Airline News under the pseudonym of Sergio Maha, as I was too young to expose myself to the internet. 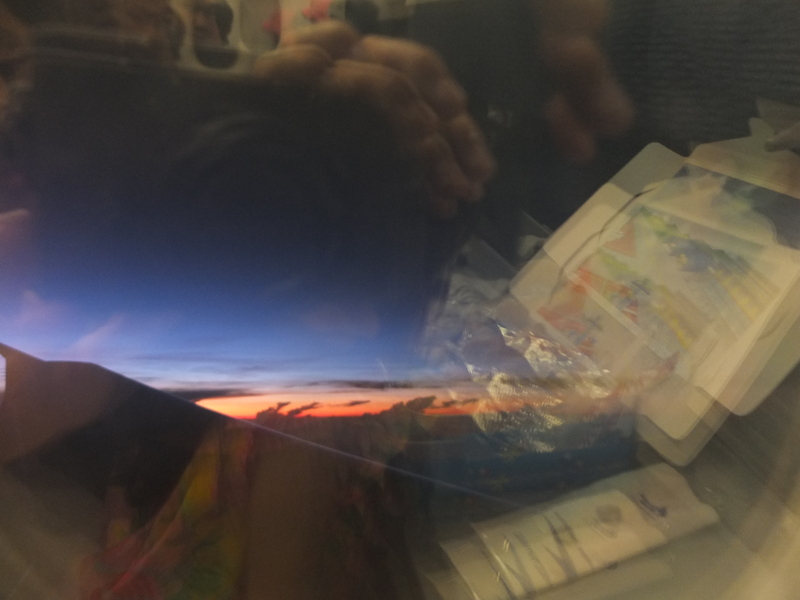 I gradually transitioned to writing posts under my own name, which involved taking a few “fictitious” flights (fortunately, I’ve wiped every trace of evidence of those flights as the blog has gained popularity). While I knew I was too young to own my own blog and was too embarrassed to admit my passion for flying (another reason I “created” Sergio), I had too much to say about the beauty of air travel, and wanted to start doing a little bit of flight reviewing as well. 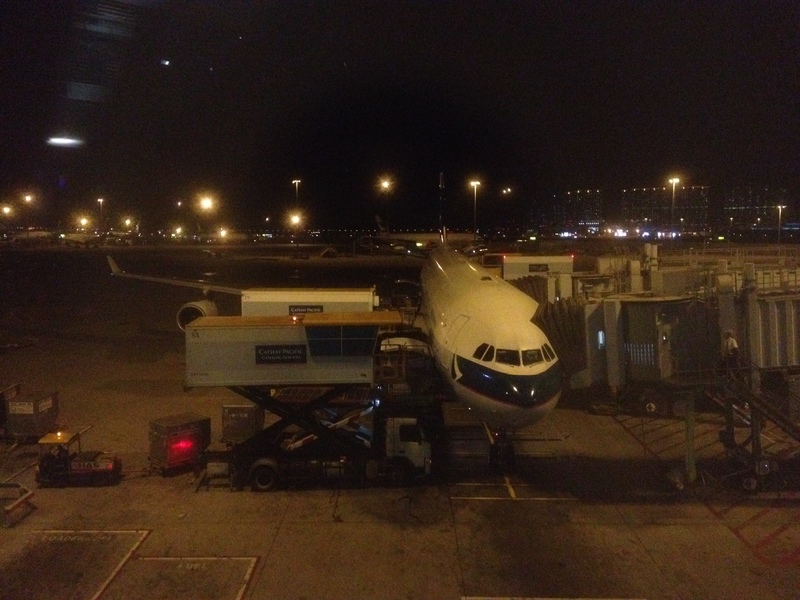 The first flight I reviewed was from Hong Kong to Auckland in economy on Cathay Pacific’s A340. I cringe when looking back at the post every now and then, though I can’t say I regret writing the review. As I gained confidence in writing and reviewing, as well as more openly nurturing my passion for luxury air travel, I started to permeate my own name into the realms of Hong Kong Airline News. Just as I was getting confident at doing so and had travel booked beyond what I could possibly review in time, the domain I was working on ran out of picture upload space. At the time I didn’t know how to deal with it (we’ve run out of space long ago at Young Travelers of Hong Kong, but I’ve worked around it and am looking to purchase a plan in the near future that would make both reading and writing YTHK much easier), so I decided to set everything up all over again as the Young Travelers of Hong Kong. The aim of the blog didn’t change at the time. In fact, it has never changed, and never will – by recounting our own experiences with air travel and luxury lodging, we strive to help fellow travelers make the best travel decisions. While other bloggers write to talk about the beauty of miles and points, I’m still learning how to utilise them, and don’t have my whole schedule to use them as effectively, though I do plan to pursue such a career in the future. Rather, I try to focus on the beauty of travel, because I think I have enough to say on that level. And by travel, I include more of the first world elements such as flights and hotels, as I know I can’t compare to the best city visit sources out there – however, I do try to record my special experiences – such as biking in Lijiang or teaching kids for four tiring days in Bagan, Myanmar. I’d like to think that I’ve reviewed my past experiences pretty extensively, across different flight reviews, airline lounge reviews and hotel reviews, as well as periodical live updates of my travels. Feel free to pay these links a visit should you want to follow along with some of my travels. If you’re interested in my photos, feel free to visit my YTHK Instagram page. If you have any questions, concerns or requests, feel free to contact Alvin at alvinythk@gmail.com.